It’s officially time to level-up your homemade soup. Instead of grabbing store-bought broth as a base, make it from scratch. And trust us: It’s easy to make. DIY broth takes just a few everyday ingredients you likely already have in your pantry and in your fridge. And as we all know, flavorful broths are perfect for casseroles, rice, veggies and, of course, soups. 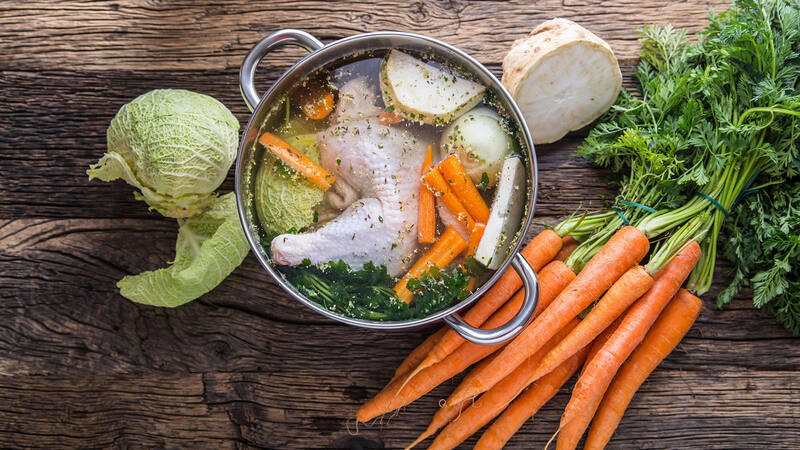 Below, we’ve listed exactly what herbs, spices, veggies and meat you need to make chicken, beef, vegetarian, turkey and seafood broths. Plus, as a bonus, we’ve included what kind of wine pairs well with each type of broth. You are so welcome. Start with a large stock pot or soup pot for making your broths. Use the best quality ingredients you can find. Place your meat, poultry, seafood, etc. in the pot along with all of your vegetables. I like to give my veggies a rough chop and keep them on the chunky side. For my favorite broth, I tend to use one medium to large onion, several stalks of celery and three or four carrots. If you’re a garlic lover like me, toss in four or five fresh cloves of garlic. 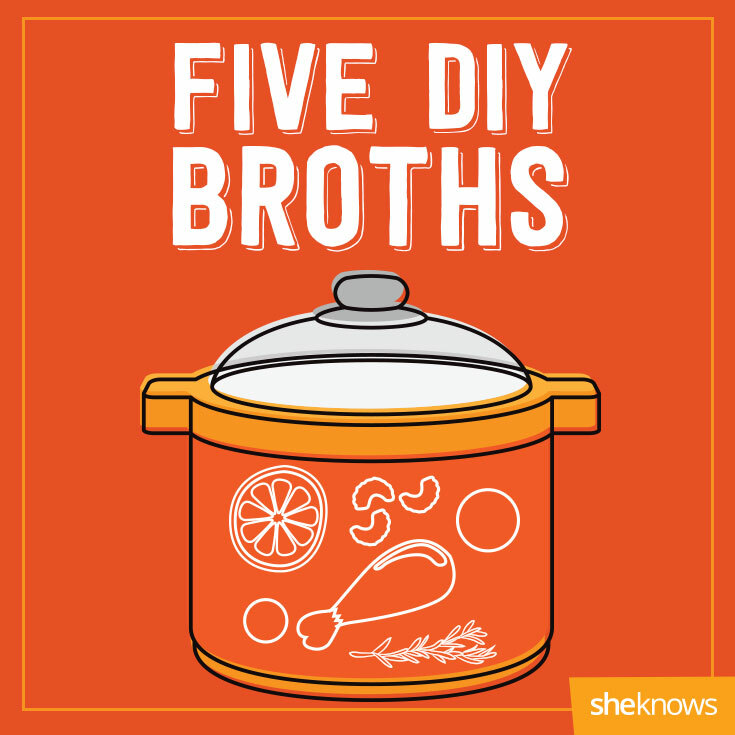 Gently smash them to break them open and ensure that yummy flavor is infused into your broth. Add all of your fresh herbs and seasonings to the pot and cover all of the ingredients with water. Give it a quick stir then cover the pot and simmer on medium-low heat for about an hour. Once it’s cooked, use a fine metal strainer to remove any leftover bits of bone, meat or veggies. That’s how simple it is to make your very own broth!